I have been playing around in the kitchen, experimenting with my nutribullet. Autoimmune Paleo Heroine Mickey Trescott inspired me to try out her Coconut Concentrate as a dairy-free, vegan and paleo-approved base for many dishes. 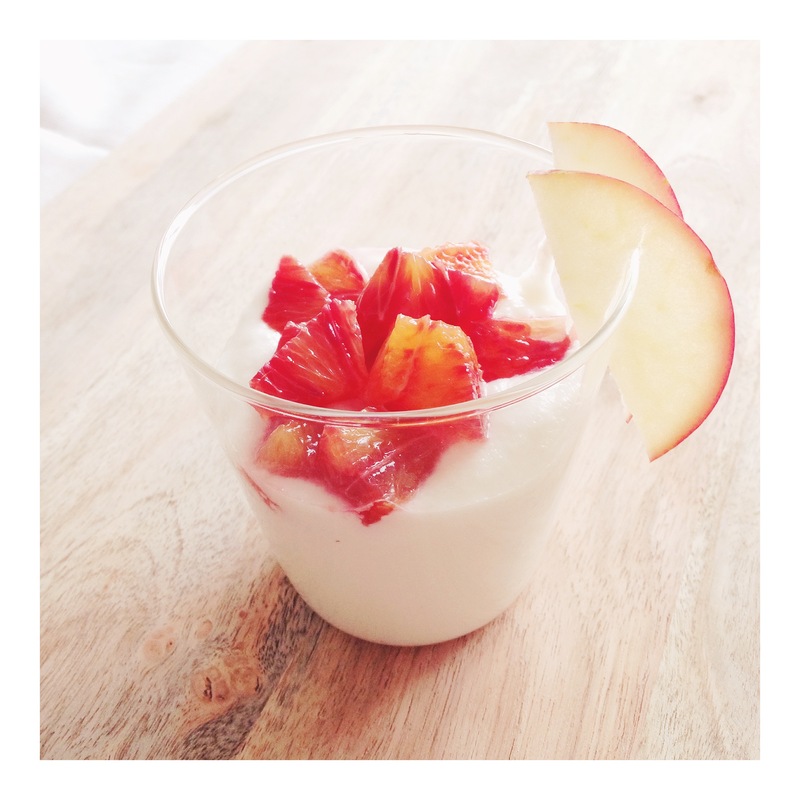 From the concentrate, I created this delicious creamy coconut yoghurt. Start off by making the concentrate. Place the shredded coconut and coconut oil in the processor. If the coconut oil is hard – melt it first by placing it in a glass and place the glass in a bowl with hot water. Mix on high speed (stopping every 15-20 seconds so the machine is not overheating). After a while (depending on the speed of your machine) you can see a thick creamy paste forming. From there you can add cinnamon, raw honey and filtered water to the coconut paste. You can continue adding as much filtered water as you feel creates your perfect consistency. Pour into beautiful glasses and top of with fresh fruits of your choice! I really like blood orange, berries or kiwi fruit.